Progress in Bilateral Talks Between the U.S. and China? The January 30th and 31st meetings between the Chinese delegation led by Vice Premier Liu He and counterparts in the U.S. that also included a meeting with the President are apparently making progress. The President has agreed to meet with President Xi of China before the March 1st deadline although no firm date or location have been set. In a tweet, the President indicated on Thursday 31st that he might be willing to accept a limited agreement by the March 1 st deadline and to extend talks to finalize a comprehensive deal. The President has previously committed to increasing tariffs on up to $200 billion in imports from China from 10 percent to 25 percent. Backing down on this commitment would be detrimental to support from his base. According to trade specialists increasing tariffs to 25 percent would damage the economies of both China and the U.S. and would have international repercussions. China has agreed to purchase soybeans and other agricultural commodities partly as a concession, but in reality because they need them. China has also agreed to purchase energy and has indicated that it would welcome American investment in the manufacturing and financial sectors. In contrast there appears to be little progress on resolving the underlying structural issues including theft of intellectual property and coercive business practices that are integral to future growth in GDP in China. Commodity and financial markets are riled by conflicting messages from the White House. On January 29th, Secretary of the Treasury, Stephen Mnuchin noted that cuts in tariffs are a possibility. He stated "Everything is on the table." This is in contradiction to statements made by U.S. Trade Representative Amb. Robert Lighthizer who has negotiated from a relatively inflexible position supported by avowed sinophobe, Economic Advisor, Dr. Peter Navarro. It is obvious that the price of soybeans and hence production costs for eggs, turkeys and broilers will depend on the outcome of negotiations and resolution of the current trade disputes. It is expected that if concessions are made, the question of exports of Chinese-origin breast meat to the U.S. will be raised. At least the parties are talking. 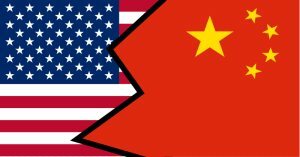 The White House issued a communique noting "The two sides showed a helpful willingness to engage on all major issues including the need to remove market barriers and tariffs that limit U.S. sales of manufactured goods, services and agriculture to China." The Xinhua news agency of China reported that talks were "candid, specific and constructive and dealt with trade, structural issues and enforcement".